Is SofTap® Right for Me? Treat yourself to flawless expression--without the pencil. 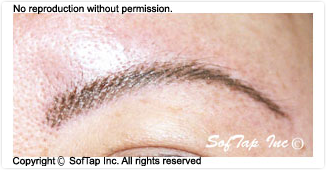 Have you permanently lost hair in your eyebrows due to tweezing or shaving? Are you applying brow pencil everyday in order to compensate for this? Do you have problems drawing them on straight? Wouldn't you just love to get up every morning with perfectly shaped brows? 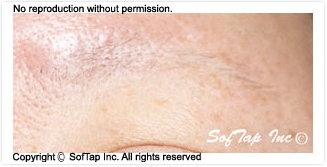 Well, now your wish can come true with SofTap® permanent cosmetics. If you are active and have a busy lifestyle, you will love the many advantages that permanent makeup has to offer. Not only will you have more time to do other things, you will feel wonderful knowing that you always look fabulous. No matter what shape your brows are in now, permanent eyebrows can help you achieve anything from a subtle enhancement of color to a complete reconstruction of your existing eyebrow.